Thread: How much should I pay for a second hand Rancilio Silvia V1? Hello! Looking for some advice on the value of a second hand Rancilio Silvia v1. I found a listing on eBay and would like to know a ballpark figure of how much it is worth. Apparently the unit was purchased in 2005. As a side note, should I also purchase a PID or can the Rancilio be used as is? I'm very much a beginner at making coffee. Currently own a Breville Duo Temp Pro. Can't help you with a price for the machine but it will depend a lot on condition - look to see if it has a service history, markings, worn seals etc. The PID can be used to 'beef up' the machine. It's more about temperature control/stability than anything else and probably not required for the average 'novice'. You can search through the history of the hardware items for sale in this forum. You can see what is currently for sale as well as what has sold in the past. 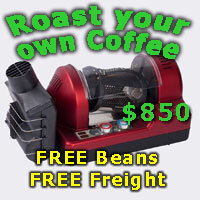 That will give you a really good point of reference as to what silvia machine could be worth. You might even find yourself an alternative to consider instead of the Silvia amongst all the hardware presently for sale. GL. Working v3 for sale presently on here.